Have you found yourself with a toe nail fungus ? Fungal infections are quite common on the toe nails especially on the big toe nail. All it takes is a stubbed toe to create a tiny opening for a dermatophyte to jump in and take up residence. It can be fungus from an athlete's foot infection or you may pick up the fungus in the shower at your local gym. Fingernails can also be infected with fungus but it is less common. The problem is, it's really tough to evict that fungus! Fungi love the warm moist environment underneath the toe nail. It grows and spreads into the nail causing the nail to discolor, thicken and pull away from the nail bed. Debris accumulates under the nail and the nail plate begins to get crumbly and ragged. Can I get a fungal infection from nail polish at the salon? Toe nail fungal infections are difficult to treat because the infection is underneath the toe nail in the nail bed. Topical medications don't penetrate through all the layers of nail to reach the nail bed where they are needed. You've got to get the treatment behind the nail before the fungus invades the nail plate. Oral medications can work well but they require regular blood work to check on liver function. I have had clients use them. Their infections began to clear but when the course of medication ended, the fungus flared up again requiring more oral medication. Your doctor can prescribe a topical treatment if you want to avoid taking oral medication. There are over the counter as well as prescription topical treatments to try. Apply them to the unpolished toe nail, behind the toe nail and around the sides of the toe nail. You can find over the counter treatments such as Fungi Nail and Kerasal at your local drugstore and on Amazon in liquid and ointment formulas. There are some home remedies you can try that many of my clients have actually had success with. You must be diligent with any fungal treatment to get rid of that nasty fungus. Soaks can be very effective because the nail is submerged and the liquids are absorbed by the nail and the surrounding skin. Some of its ingredients are effective at killing fungus. Recently, a client said her doctor recommended it. The fungus lives under the toenail. The more it grows, the more it damages the nail and the skin underneath the nail. Apply the Vicks underneath the free edge of the nail. Be sure the nail is clean and dry. You can lightly blow dry underneath the infected nail after a shower to get it really dry. Press the Vicks into the area of the nail that is pulling away from the nail bed. Apply it to the infected toe 3-4 times per day. It sticks with you due to the petroleum in it. You can cover it loosely with a bandage to keep the Vicks from getting everywhere. Keep the toenail short, trimming regularly. Fungal infections are stubborn. It's gonna take a while. Be persistent with it. It may not work for everyone, but it's worth a try. Thymol is from thyme. Very anti fungal. 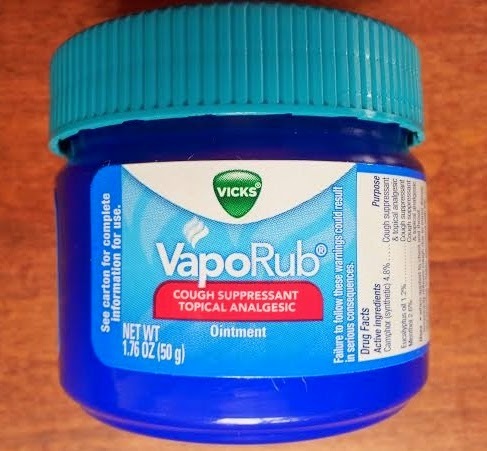 Please know before you buy: Vicks VapoRub is a Proctor and Gamble product. They are notorious animal testers. A North Carolina pharmacist created Vicks as a croup remedy for babies back in 1894. It wasn't tested on animals then but it is now. Do keep in mind, any prescribed medication is tested on animals too. 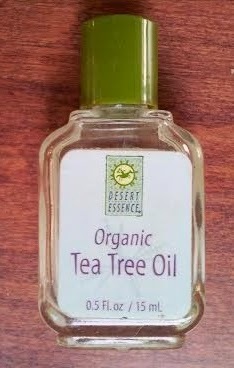 Tea Tree oil is a great alternative to Vicks and not tested on animals. It too is very effective for treating fungus. Find it in stores that sell natural products such as health food stores. Apply a couple drops to the underside of the infected nail 2-4 times a day. Be sure the nail is clean and dry. Lightly blow dry underneath the infected nail after a shower to get it really dry. Keep the toenail short, trimming regularly. Again, fungal infections are stubborn. It's gonna take a while. Be persistent with it. Please be aware that fungal infections can spread to your family members. Clean your shower area with bleach or disinfectants that are effective at killing fungus. Keep your feet covered with socks to prevent fungal spores from spreading throughout your living area. Launder your socks after wearing them. Always wear flip flops in the dorm or gym shower to protect your feet from fungus. I hope one of these remedies helps you to kill off that nasty toe nail fungus! Remember, it's a battle. Be persistent.